There's been a lot of buzz lately about eMagazines. So what exactly are they, and why do you need one? Modern companies—even small ones—are finding that these virtual offerings can dramatically boost business and improve their bottom line. If you already print a traditional paper catalogue or brochure to inform customers about your products and services, expanding to an electronic format can greatly increase the capabilities and flexibility of your marketing collateral. We can help you create, publish and manage your ezine real quick. We cater for industries like fashion, food, gardening, health, lifestyle, sports, beauty travel and many more. Put special offers and savings at their fingertips The second a paper magazine is printed, it's already dated. With an e-magazine, you have the freedom to make real-time updates to reflect changes in pricing or product availability. Your customers will enjoy the convenience of ordering directly from the E-catalog and receiving instant confirmation. 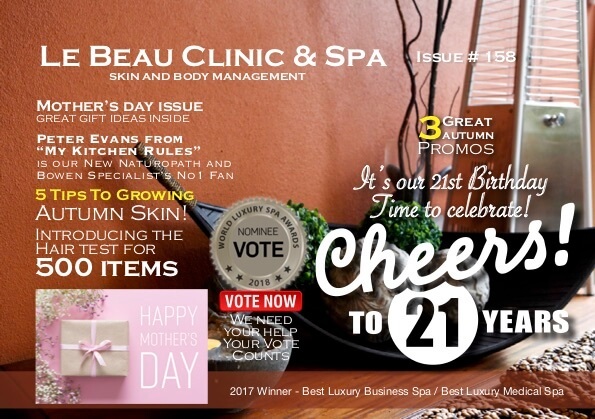 What's more, your virtual magazine will reach countless customers around the world, who otherwise would never have received the limited distribution print version. An e-brochure or e-catalog can take the place of (or supplement) a traditional print catalog by offering information about your products and services, ordering instructions, and any other company details. One of the main advantages is that you can update an online catalog as needed to reflect price changes, special offers and promotions, or to remove or make note of out-of-stock products. If you sell products or services online, an E-magazine can dramatically increase order volume by providing customers with a detailed, accurate, and professional presentation of your offerings, and inviting them to place orders directly from the virtual catalog. Many of today's buyers prefer purchasing online, and will actively seek out websites that offer the products and services they need. An Ecatalog or Ebrochure is a proven, cost-effective way to attract more prospective customers to your site and turn browsers into buyers E-catalogs aren't just for e-commerce stores and online businesses: they are essential tools for every company that wants to succeed by tapping into the lucrative online market. E-brochures allow you to access new prospects all around the world – and even in your own backyard – that might never receive your print brochure. There are few online features that can make as dramatic a difference to your business, in terms of streamlining and increasing sales, as an electronic magazine and ordering system. If you've made the smart decision to outsource your E-catalog, E-brochure or Online Magazine we know you want only the best – and that's what we deliver. At Informatix, our passion is helping other businesses succeed through innovative digital marketing solutions, and we give each project the respect and attention to detail that we give our own materials. Your company is unique, and you have your own individual gifts to present to the marketplace. Informatix takes the time to get to know your business, allowing us to present your products and services in the best possible light. We'll draw on your strengths to create polished, compelling e-catalogs and e-brochures that will "wow" your customers and reel in new prospects. Not only will you see a boost in sales, you'll build a new level of professionalism and accessibility into your online business. Now that you understand the value in making an Emagazine available to your customers and contacts, it's time to determine the best way to go about creating one. Should you outsource it to a contractor, create your own e-magazine using customised software, or put up a basic PDF of an e-brochure that you can make with your regular word processor program on your home computer? In order for an Emagazine or Ebrochure to perform for you, it must be fresh, appealing, targeted to your client base, and easy to use. In addition to learning about your products and services, prospective customers will use your e-magazine to assess every aspect of your online materials, often subconsciously, to determine whether or not your company is worthy of their business. The difference between a professional and a homemade e-catalog or e-brochure can mean millions of dollars gained or lost for your business – and it could be the determining factor of whether or not you get that next big client. Don't know how to get your eMagazine started? We're here to help you get things underway. We can design, write, publish and manage your eMagazine.